Don't you just love sale season? 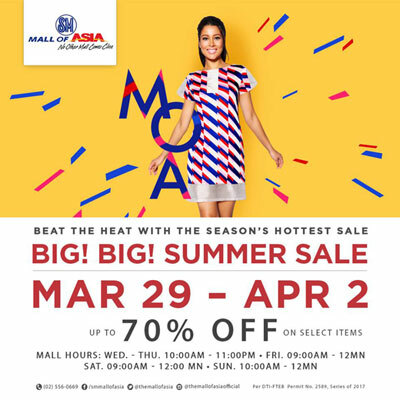 Head over to the Mall of Asia and take up to 70% off your purchases with their Big! Big! Summer Sale 2017 happening from March 29 to April 2.